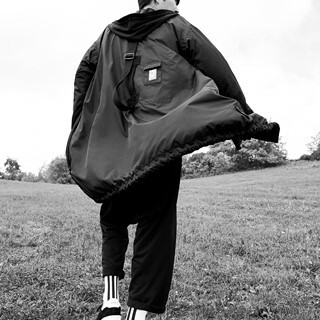 Y-3 is launching the third and final chapter of the brand’s Spring/Summer 2018 campaign which re-envisions the icons of adidas through the lens of Yohji Yamamoto: graphic, pure, and consistently forward-thinking. Shooting in black and white, photographer Alessio Bolzoni captures models in kinetic poses in a wide-open meadow against a sky billowing with clouds. The stark background brings into hero focus the new collection, which fuses sport and fashion to create a new uniform for modern streets. 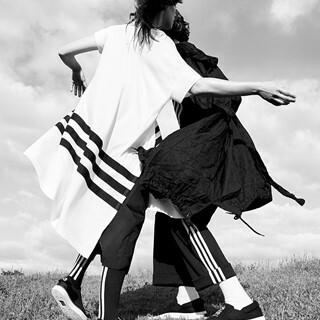 Styled by Mauricio Nardi, the range emphasizes voluminous apparel—skirts, tunics, parkas—adorned with the signature adidas three stripes. 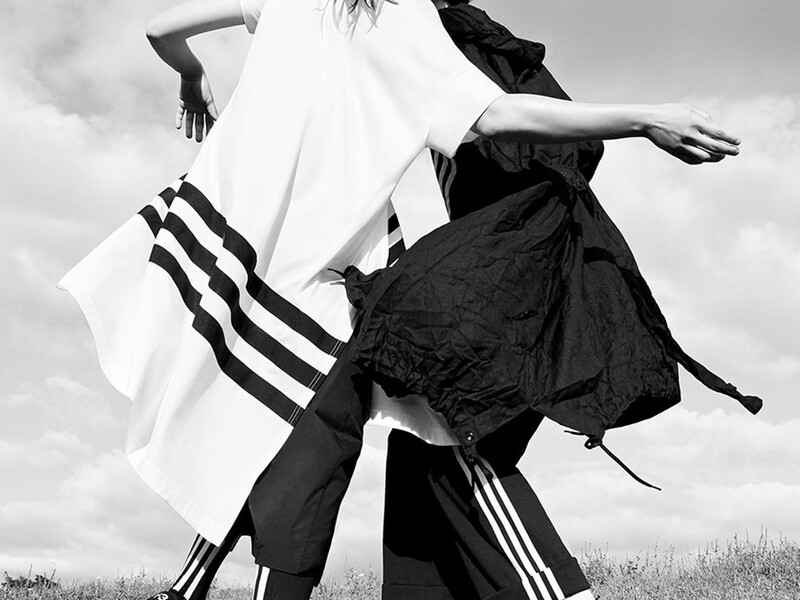 Tracing the models’ bodies, the stripe motifs create a dynamic sense of movement and unite the cast as an army of adidas. 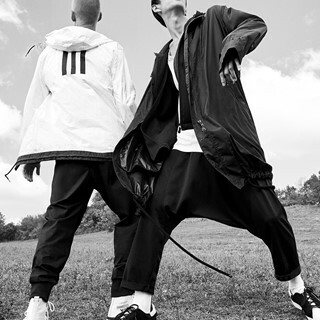 The campaign also previews two exclusive versions of recently launched Y-3 footwear styles, the Kusari and the Saikou, both of which are now available with black BOOST™ midsoles. The Kusari leverages both design and function in its mixed-material upper, comprised of stretch mesh and leather. Its singular anchored lacing system is engineered for maximum stability and optimum fit, while simultaneously creating an iconic graphic motif along its sides. The shoe’s XXL tongue adds unique comfort and stylistic flair. Finally, adidas BOOST™ cushioning technology, featured in black, brings a responsive, energized feel to every step. With its sleek, two-piece Primeknit upper, the Saikou symbolizes Y-3’s commitment to aesthetic minimalism. The sock-like design wraps the foot in adaptive support while adidas black BOOST™ cushioning maximizes comfort. On its sides, the Saikou features a three-stripe motif in high abrasion that also creates the shoe’s lace loops. The Kusari & Saikou Black BOOST™ will be available on March 23rd at Y-3 flagship stores, Y-3.com, and select retailers worldwide, alongside the latest drop of the Spring/Summer 2018 Collection that hits stores on March 15th.